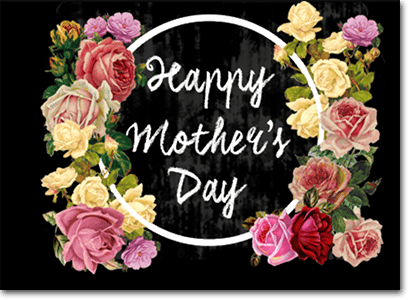 Mother’s Day is one of the most special days of the year, a day set aside for everyone to stop and appreciate the woman who gave life to them, and this year Jackpot City Casino is helping players show their mothers just how much they mean to them with an exclusive Mother’s Day promo. Your chance to win runs out on May 3rd, so get in quick to ensure your place in the draw. In this exclusive competition, 10 lucky players will win a bouquet of roses delivered to the door of their mother on Mother’s Day. What a way to make your mum smile without having to rush out and join the hordes of families scrounging for the last minute gifts – just sit back and let Jackpot City do the hard work for you. To be in the running for this Mother’s Day bouquet, you’ll need to have an account with JackpotCityCasino.com. If you’re new to this casino, sign up using our links and you can claim up to $1600 in welcome bonuses spread out over your first few deposits, so even if you don’t win the flowers you’ll still walk away a winner. Once you’ve logged into your account scroll through the current promotions at the top of the game lobby until you find the Mother’s Day promo banner. To enter, type your message for mum into the competition field. You might want to tell her how much she means to you, share a favourite memory or just send a little love out to the world. Put a little heart into it, as your message is what you’re being judged on here. Note that only one entry per player is allowed. On May 4th 10 lucky winners will be drawn and notified by phone or email, so make sure you’ve registered your current contact details with Jackpot City. If you’re one of the winners, all you need to do is give your mums address to the customer service team and they’ll make sure a bouquet of beautiful flowers will be delivered to her door on Sunday May 8th and your position of loving child is secured. All winning messages will be displayed in the Jackpot City Casino lobby on Mother’s Day. Don’t have someone special you can have flowers delivered to, or don’t buy into the commercialism of this holiday? No worries – if you win you can simply choose to have $60 cash credited to your casino account in lieu of the bouquet. Sign up at Jackpot City Casino today and enter your Mother’s Day message for your chance to win this great little prize. The casino has recently added several new Microgaming titles to its repertoire, including Bar Bar Black Sheep, Wild Orient, SunTide, Dragon Dance, Bikini Party and Lucky Twins, so there’s plenty of new material to keep you entertained long after Mother’s Day wraps up for another year. Claim your $1600 welcome bonus at Jackpot City Casino and enjoy hundreds of real money Microgaming casino games in instant-play mode or by downloading the premium JPC casino software.